"The sun did not shine. It was too wet to play. 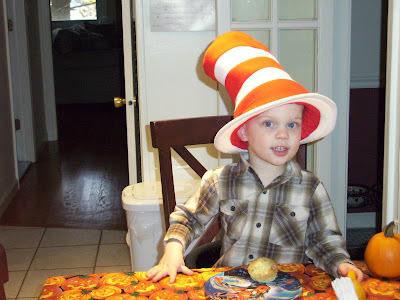 So we sat in the house all that cold, cold wet day..."
Today is Dr. Suess Day! 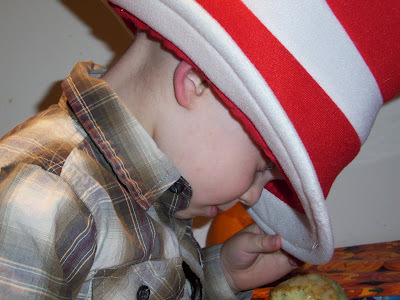 I learned last week from my one of Cheryl's blog posts that Dr. Suess Day was going to be today. 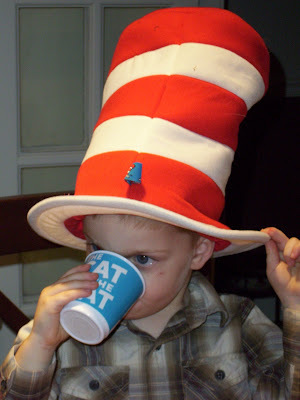 I did some research (thank you Google--which, by the way, has a cute logo today made from Dr. Suess characters) and found out that Dr. Suess Day is celebrated in schools, libraries, and homes across the country every year on March 2nd, which was his birthday. 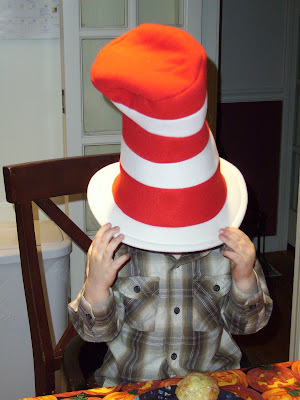 We're a family of Dr. Suess fans (one of us in particular...can you guess who?) and I thought these pictures from last fall were perfect for today.